April 4, 2019- the second conference of ZYGMUN started as the sun set over the ever-changing city of Warsaw. Over 100 delegates from five international schools gathered at the American School of Warsaw to begin their conference. Following the announcement of the theme, a brief welcoming video created by the Press Team was displayed to give a general feel of the upcoming conference, views of Warsaw and a few words from conference organizers were shared throughout. 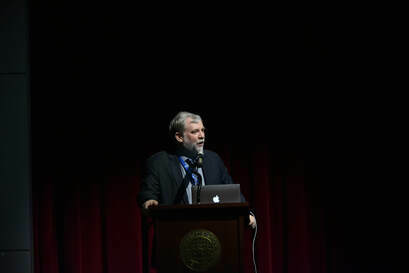 Following this, Mr. Zurfluh (Director of the American School of Warsaw) took to the podium to give a few remarks. The future was mention many times throughout the Opening Ceremony, and it is clear that the delegates will go forth into debates with this in mind. Following this, more opening remarks were presented by the Secretary-General and the Deputy Secretary-General for Administrative Affairs. The first were mainly concerned with the nature of news and cognition making us believe that the world is getting worse. However, that came with a silver lining in the form of Greta Thunberg, a youth seen as a symbol of hope for the coming generations, and a true example of the ripple effect. 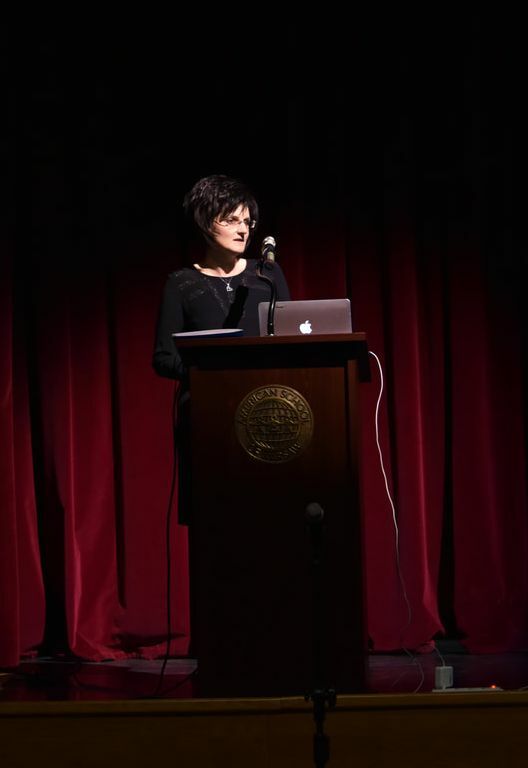 As a closing to the first half of the ceremony, an original performance was given by Haiden Kolenbrander, which detailed the struggles of the rejection that migrants feel across the world. This message was given in the form of a song that was able to speak to the crowd in a way that sometimes a speech cannot. 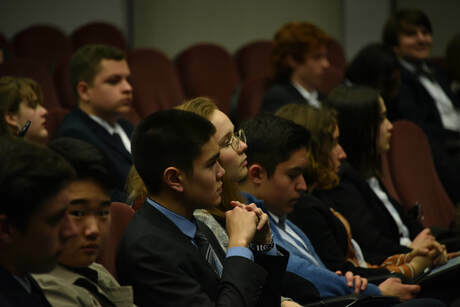 MUN is known to be an intellectually stimulating event for all participants, but as high school students all know, sometimes distractions can impede attention. This was seen from the Delegates of Mexico, South Africa, and India (on phones and sleeping during UNICEF presentation), as well as the Delegates of Spain and Yemen (also sleeping during UNICEF). Up next was the opening speeches from the Ambassadors of each country. Each were given a set time of a minute to give an introduction to their intentions for the conference. Some notable speeches were from China, Cuba, and Indonesia. Of course, the Ambassador of Indonesia was hard to forget as at first they appeared distracted with different thoughts on their mind; missing the podium and reading the wrong section of their speech. However, they were able to prove themselves worthy of ZYGMUN as they spoke passionately about issues facing their country, even rebelliously throwing in some Indonesian at the end.